Following that experience, Katherine Hamilton began a quest to improve conditions and services for people with mental illnesses. Entering the field of mental health on the professional level, Hamilton devoted six years of her life as a medical social worker at the University of Chicago Clinic. For three years, she served on the staff of Union Hospital School of Nursing, teaching psychiatry, psychology, and sociology. In 1950, after several years of professional psychiatric service and many years of organizational experience in the health and welfare field, she accepted the challenge to help create a band of interested citizens who would stand up and speak on behalf of those with mental illnesses. Before the end of the year, the Vigo County Association for Mental Health was created. During her tenure as president of the Vigo County Association for Mental Health, she served the mentally ill in many ways, serving the Indiana Association for Mental Health for 10 years as a board member, secretary, and delegate to the National Association for Mental Health. She eliminated the practice of patient jailing in Vigo County. She provided transportation for patients and families to state hospitals. She helped develop the Adopt-A-Patient program in which people assume the role of a relative of a patient. She lobbied for increased appropriations for the Department of Mental Health so that patients could be provided better care and treatment. She helped expand the National Association for Mental Health so that there was equitable representation throughout the United Stated on the Board of Directors. She also contributed tremendously to the growth of the Indiana Association for Mental Health from a struggling handful of interested citizens to a statewide organization of 30,000 people. In total, Katherine Hamilton dedicated 33 years of her life to serving those with mental illnesses. In May of 1961, Katherine Hamilton had passed away after battle with a lingering illness, but her service to those in need continued after her death. 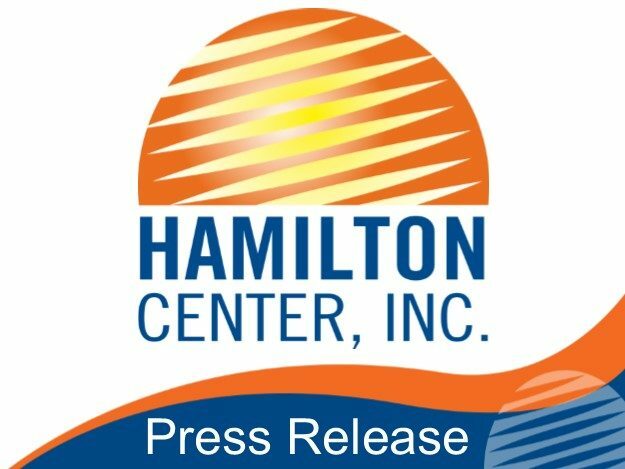 The development of Hamilton Center Inc. is a story of citizens, volunteers and professionals in a six county area, over a period of years, organizing, planning, and working together for the establishment of a Mental Health Center in west central Indiana. It is a story of people infused with the belief that mental illness was a major illness in the community and that the dire lack of facilities for treatment need to be addressed. It was believed that people could best be treated in their home communities rather than having to travel long distances and perhaps being institutionalized. In a short period, the Katherine Hamilton Mental Health Center was incorporated and its first outpatient office opened in 1971. Named in honor of Katherine Hamilton, Hamilton Center has grown to become a regional behavioral health system. Hamilton Center serves central and west central Indiana providing the full continuum of mental health and addictions treatment to children, adolescents and adults. Currently, the organization serves approximately 13,000 clients a year, employs 550 staff and has outpatient offices in 10 counties in Indiana. The work of Katherine Hamilton continues and will go on until the need for mental health treatment is no longer. For additional information on services, call (800) 742-0787.